An attractive pair of overshoes with some innovative features. Our first impressions were positive. 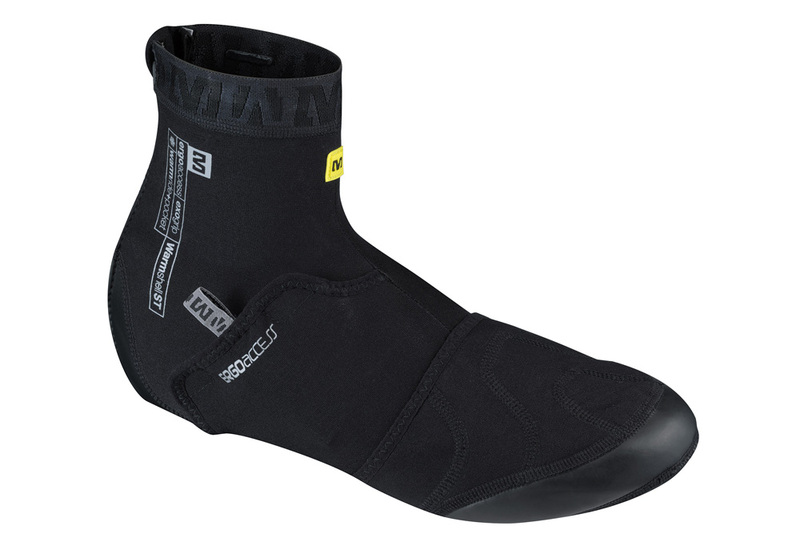 The Thermo Plus is an attractive overshoe with neat styling and subtle Mavic insignias. Mavic’s useful size guide ensured that the covers fitted our size 45 road shoes very well. The ‘Ergo Flap’ on the side of the cover is a great feature for accessing your shoes retention system mid ride and means that you don’t have to remove the whole shoe cover. The overall weight is fairly light too compared to other overshoes we have tested. Through extensive Winter riding we found that these shoe covers performed well in temperatures ranging from 5-12ºC. But, when the mercury plummeted to 0ºC on Boxing Day and much of the Christmas break, we found these covers not to be warm enough. For use in freezing temperatures, the shoes feature a pouch where thermal gel packs can be inserted for added warmth, but unfortunately Mavic had not provided us with these. >>> More more reviews of overshoes, click here. Whilst these would have likely have made a difference, we have to be critical. At £48 a pair these are expensive and that is before you add on the added cost of gel packs. At £30 the Sportful Roubaix Thermal Booties reviewed earlier in the month are cheaper and felt warmer. We also found that water resistance was poor on these shoe covers, and once wet, they became colder. This is in contrast to thicker neoprene shoe covers, which are able to retain heat when wet, through providing a layer of insulation (like a wetsuit). The downside to neoprene covers is that they are heavier and bulkier. For more information head over to Mavic. Overall, these are decent pair of overshoes that fit well and look great when combined with other Mavic kit. They have some good features and are very well made, but they are not the warmest covers, despite a high price tag and having 'Thermo' in their name. In addition, we found them unsuitable in wet conditions.